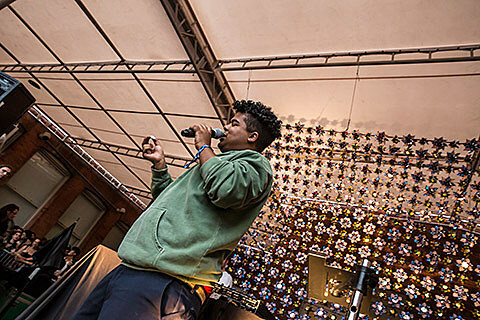 The fan was in front of the stage while Makonnen was performing “Tuesday.” He reached out for a dap and Makonnen gladly reciprocated in showing love back. The fan would then grab Makonnen, pull him down, and land a punch in before being taken away and escorted. No word on why the assault took place. Nonetheless, everyone continued to turn up, despite the skirmish. You can watch a video of that below. Rae Sremmurd also played SOB’s that night, and video of them playing “No Type” and “No Flex Zone” at that show is also below. Makonnen plays FADER Fort on Saturday (10/25).